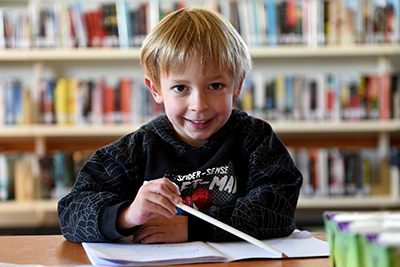 Throughout 2018, Goldfields Libraries implemented a series of measures to ensure we meet our obligations to comply with the compulsory Child Safe Standards. These standards exist to prevent abuse and guide the organisation towards providing a safe, nurturing and empowering place for children and their families in our communities. With a whole-of-organisation approach, we aim to integrate child safe messages into our everyday work and into our strategic planning. We continue cross-organisational conversations around child safety and our Board and CEO play a leadership role in disseminating information and guidance to staff, volunteers and patrons. Our Child Safe Policy outlines clearly our zero-tolerance approach to child abuse in all its forms, and our commitment to providing safe and welcoming places for children and their families. We also expect parents and carers to look after children in their care in our libraries and agencies. You can access our Child Safe Policy here. We have reviewed and updated our Code of Conduct to provide specific guidance to all staff, volunteers and direct contractors on expected behaviours when working with children. We also have a code of conduct for patrons which includes expectations around supervising and caring for children in our libraries. You can access the patron Code of Conduct here. We have reviewed our existing human resource practises, which are well developed and thorough. We have ensured the Child Safe message is promoted throughout the recruitment, induction and training processes. All staff, volunteers and relevant contractors are required to provide a professional Working with Children Check. You can access the fact sheet for contractors working with children here. We have developed a process for reporting child safety issues and have ensured our incident reporting processes include specific actions related to the safety of children. We entered the Reportable Conduct Scheme in January 2019 and we have provided all staff with information regarding their responsibilities. We have included references to child safety in our risk management framework and ensured our related incident reporting processes reference incidents related to children. By doing so we want all staff, volunteers and contractors to be able to assess and manage risks as part of their work. We continue to play a significant role in our communities as a safe and welcoming place for all children. We encourage and support children and their families to access our services - in our branches and agencies through a range of tailored children’s programs, and through positive on-line experiences as an accredited eSmart Library. The Commission for Children and Young People (CCYP) is the oversight body for the implementation of the seven Child Safe Standards, for more information see the Commission's website.